This dog can not go to a home with, or interact with, other dogs. This dog has not been observed around cats. This dog cannot go to a home with younger children. The age range may vary by individual dog, based on behaviors the dog has exhibited and the home setup. This means the dog may be mostly housetrained and/or crate-trained. It may mean the dog has not been observed alone in a home for an extended period of time, but has mostly positive notes. Hover over the scores to learn more! Virginia is as sweet as she is beautiful. She is quick to make friends and becomes affectionate very quickly. She's a great medium energy dog that loves her long naps while her human is away and is ready for a nice easy walk when they get home. She likes to stay close back in the home, and after dinner she insists on cuddling while you binge watch your favorite shows. As well as being highly affectionate, she is adventurous too! While she might sometimes look shy in a new environment, she is quite brave and enjoys new places and experiences, especially if sunshine and treats are involved! Virginia is also in APA! 's Total Obedience Program (TOP), which is modeled after the AKC's Canine Good Citizen (CGC) test. As a TOP dog, Virginia has a personalized training plan and works with a volunteer trainer several times a week to help her learn the skills to become the best dog she can be! 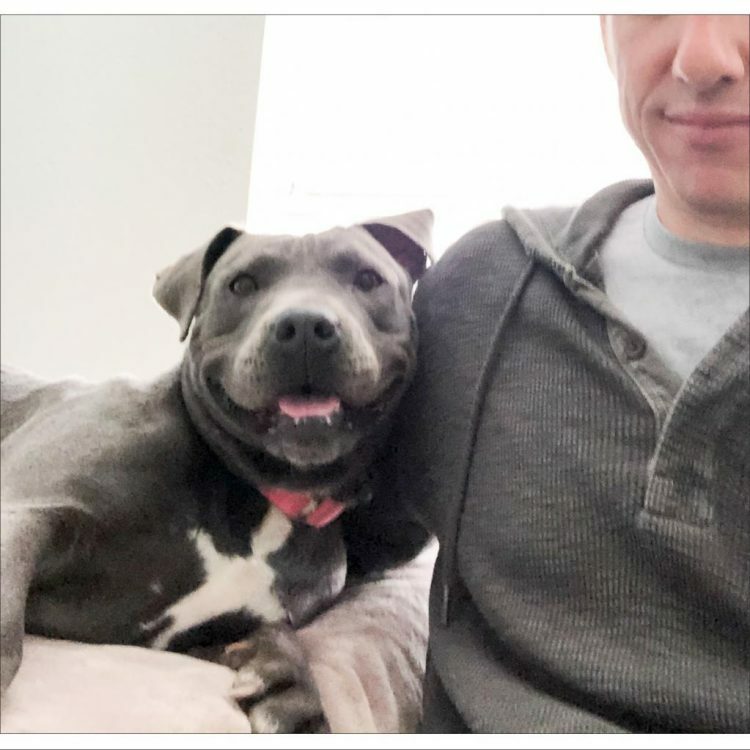 Virginia is learning skills like sit and down, walking nicely on leash, sitting calmly when approached by strangers or other dogs, staying in a sit or down until told "free," coming when called and "place", which means she will go to a specific place in your home on command. Come meet this sweet pup! 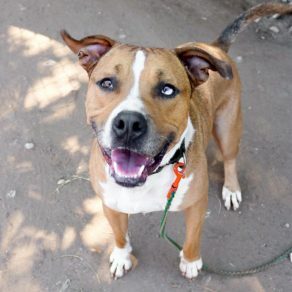 I saw Virginia (https://www.austinpetsalive.org/adopt/dogs/apa-a-69665) on the Austin Pets Alive! website and would like to request more information. Please plan on allowing adequate time to be matched with a dog, have relevant consultations, and complete all necessary paperwork. This can take 1-2 hours in total. Fill out our adoption application and meet with an adoption counselor. An APA!-conducted meet-and-greet with current household dogs is recommended for most and required for some adult dogs. Accepted forms of payment include cash, debit or credit card, or money order payable to Austin Pets Alive!. Personal checks will only be accepted for surgery deposit.